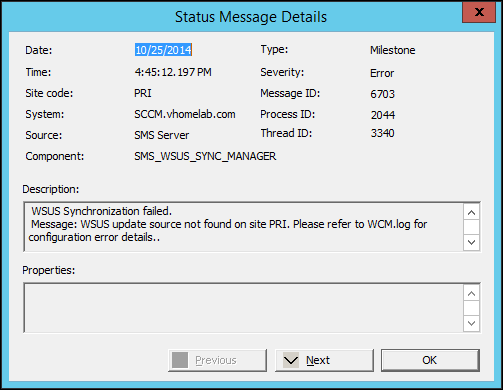 In this deployment of SCCM 2012 R2, the WSUS is installed on a separate server. There are so many options that need to configured to make SCCM work that I missed one thing and SCCM was not able to do initial configuration on WSUS server which is done at the 1st Sync. I am using vSphere 5.1 and SQL Server 2008 R2, maybe soon I will work on 5.5 and SQL 2012 scenario and will update. As mentioned I have a vCenter 5.1 server and a standalone SQL Server 2008 R2 in lab with 2 ESXi Hosts, these hosts are part of a cluster and connected to a distributed switch. We will start with preparing SQL Server 2008 R2. Using SQL Server configuration manager, we will change the dynamic port to static. Remove any entry present in IP1 “TCP Dynamic Ports” and enter 1433 for “TCP Port”. Same changes in IPAll (scroll down to end), after the changes are done we need to restart the SQL service. Since I started working with and learning Powershell, I try to find solution of complicated tasks which seems to be simple when we put in one Sentence. 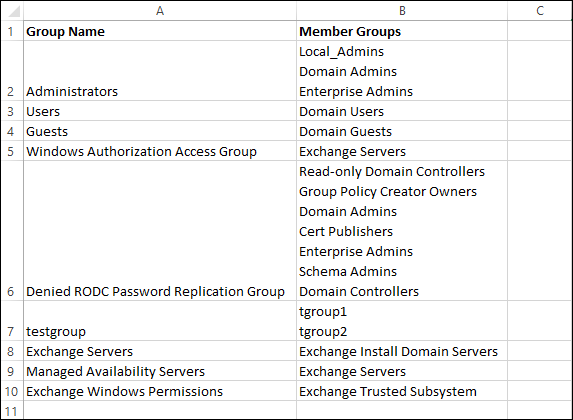 Well, one way is to double click a group and check the members tab and enter in Excel rows and columns. If I have nothing else to do and I love clicking mouse buttons then I guess that will be a nice time killer job. or else find a 3rd party software a freeware or shareware with limitations that does not really most of the time gives what I need. The best way to deploy windows updates according to my experience is by using Automatic Deployment rules. To setup a working Deployment rule there are few configurations and settings that need to be in place and working without errors. In one of my recent attempt to configure SCCM 2012 SP1 for windows 2012 R2 updates, I saw that the clients was scanning the system for updates but they were not getting installed on system.